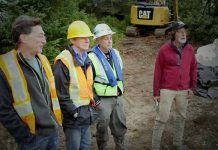 The Curse of Oak Island show has seen Lagina brothers working hard to unveil the more than 200 years old alleged treasure. The island is alleged to be cursed and Marty Lagina has revealed in Season 4 of the show, about his paranormal experience. 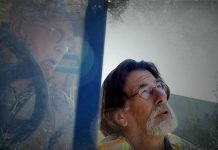 Marty Lagina, the brother of Rick Lagina has been actively involved in solving the alleged treasure mystery on the Oak Island. Marty in a clip reveals that rationally he does not believe in paranormal things. But something happened with him that perhaps drops a hint of paranormal activities happening on the island. Read to know more. In a clip, Marty Lagina says, “Rationally I don’t believe in curses at all. I don’t believe in paranormal either. But I have been out here and scared to death by something that spooks me.” What happened next? Check out the clip below. Perhaps, the ghosts of the dead are haunting the island. They might be trying to protect the more than 200 years’ treasure from getting exposed. Nonetheless, this is just a possibility and nothing is officially revealed yet. Read below instances of death that might have taken place due to paranormal activities on the island. Matt Chisholm has been a young and vibrant Producer on Season 1 and Season 2 of The Curse of Oak Island. It has been learned that Matt died under very mysterious and still unknown circumstances, reported Historyheretic.org. The report also reveals, Matt has been tipped off to enter a secret room which was walled up and hidden away from the world for ages. It further adds that this temple or shrine like secret room contained an altar which over it was an old Map which showed Oak Island and it had all kinds of “unusual symbols and marking on it”. But before Matt could get this secret map in his hands for the series he was found dead. Craig Tester’s son, Drake passed away early in 2017. He was Craig’s younger son. There have been no confirmed details how he passed away. This drops another hint that perhaps, the curse of the Island has affected Craig’s son by taking away his life. Nonetheless, this is just a possibility. Check out the tribute posted for late Drake Tester. 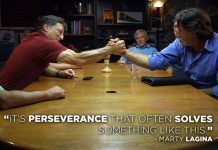 ‘The Curse of Oak Island’ Season 5: What Are Rick & Marty Lagina Brothers Scared Of?